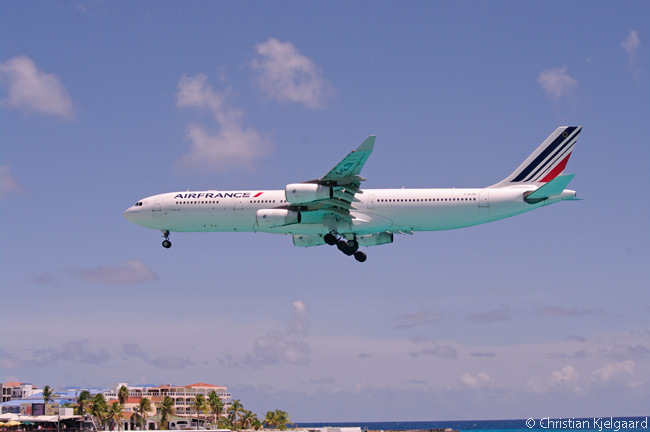 SXM Airport reckons annual passenger volume could grow to 1.95 million by 2020 from just under 1.8 million last year. The airport is also expecting aircraft movements to grow to anywhere from 69,000 to 75,000 a year by 2020, from 60,371 in 2014. Although SXM opened a new showpiece passenger terminal in 2007 capable of handling current passenger numbers, other major new facilities are now urgently required at the airport, according to Regina LaBega, SXM Airport’s managing director and a former Minister of Tourism for Sint Maarten. One important aim is to automate passenger processing at SXM by introducing passport-reading kiosks in the airport’s immigration hall and to provide ‘e-gates’ allowing automated aircraft-boarding control, to speed and make more convenient the immigration and customs formalities for arriving, departing and transit passengers. Meanwhile, SXM is working on adding a bypass taxiway at the northeast end of the airport’s single runway, 10/28, in order to increase the number of landings and take-offs it can handle in peak periods. The bypass will allow aircraft to exit the runway after landing and wait as other aircraft use the runway, instead of having to taxi back along it immediately, as is now the case. This will increase runway-usage capacity considerably at an airport which already sees some 30 movements per hour in peak periods. Another major upgrade aims to see the airport becoming LEED-certified as an environmentally friendly ‘green’ facility. This will involve the construction of a 2,000-square-meter (21,530-square-foot) solar-panel field in the airport’s southwest corner; and solar panels will also be installed on top of every new building the airport constructs from now on. LaBega says SXM’s ultimate goal is for all its electrical power to come from solar energy and for the airport to be able to sell to the local grid the excess power it generates. She notes that SXM was one of the first airports in the world, and the first in the Western Hemisphere, to install energy-efficient LED lights for all of its runway lighting. It also has launched an irrigation initiative to improve ground-water drainage and supply throughout the airport’s land area. 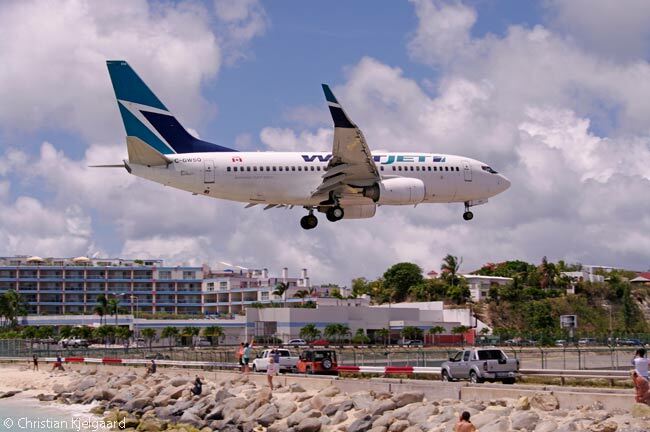 Another initiative will see SXM relocate and increase its jet fuel-storage capacity. At present SXM’s fuel farm has 3,000-barrels’ worth of capacity, enough for just over one day’s supply. 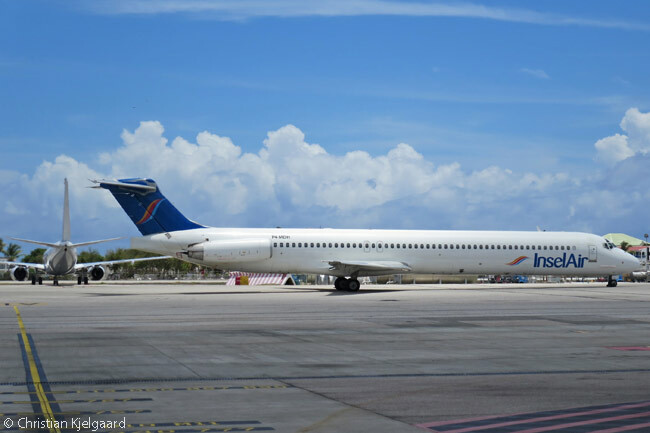 SXM plans to increase this to 10,000 barrels, enough for four days’ supply, and to acquire land to allow future expansion for another 5,000 barrels of jet fuel, giving the airport an eventual total of more than five days’ supply. Five other sizable facilities improvements and projects are underway. One is the $6 million expansion of the airport’s existing cargo facility. SXM is building the new facility, on the site of its existing cargo facility, one half at a time, because the cargo facility has to stay in use while construction is underway. Considered a landside facility because it is closed off from the airside, the new cargo facility will provide more cargo storage and processing space and also eight new offices for the airport’s cargo clients. These include several of the carriers serving the airport, as well as DHL and FedEx. Although SXM is better known as a passenger hub for the Northeast Caribbean rather than a cargo hub, its latter role is a vital one for several islands in the region. Among the cargoes SXM receives regularly are six-ton shipments of ‘Holsum’-brand sliced bread and other produce flown from Puerto Rico every two days on a Short Brothers 360 turboprop and then distributed to the many hotels on Sint Maarten, Saint-Martin and neighboring islands such as Anguilla, Saint Barthélemy, Saba and Sint Eustatius. 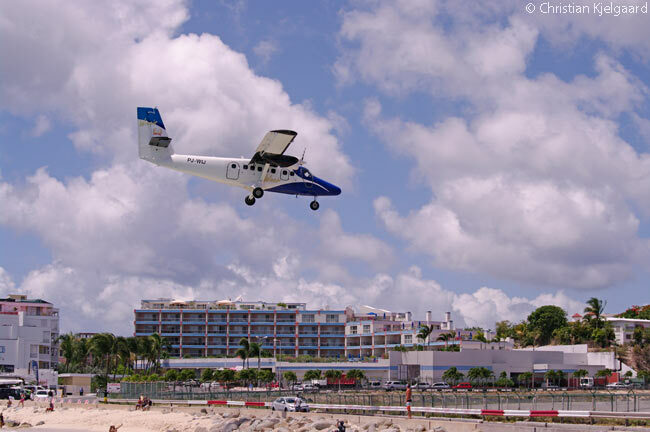 Local carrier Winair carries the bread and produce to other islands on its Twin Otters and recently has developed its role as a delivery service further by delivering pizzas freshly made at SXM Airport’s Domino’s Pizza franchise to Saba. Winair is now discussing on-demand deliveries of pizzas to Saint Barth and other islands with the Domino’s Pizza franchise and the islands’ authorities. A second new project is relocation of the existing airport fire station and local Sint Maarten fire station to a new, larger building on airport land. The fire station will be partitioned down its middle so half of the facility will be airside and will house the airport’s own firefighting department and vehicles, while the landside half will house the local Sint Maarten fire station. Relocation of the fire station will then allow SXM to build a new, larger fixed base operation (FBO) facility, which will be built with a central immigration and customs processing hall and two wings, one on each side of the central hall. SXM’s two existing FBO franchisees, TLC Aviation and Signature Flight Support, will each lease a wing of the building and build out their respective wings to their own designs. Establishment of the new, larger FBO facility is necessary because SXM’s business-jet traffic is continuing to grow and is becoming less seasonal, with the airport beginning to see more business-jet movements in its June-August low season. SXM Airport is expecting from 10,400 to 12,000 business-jet movements annually by 2020, according to LaBega. Fourth in SXM’s facility-development list is relocation of the airport’s existing Technical Services building to an off-airport site a few yards away next to Simpson Bay Lagoon, beside which the airport sits on a narrow spit of land. The proximity of the lagoon makes for very easy transfers between vacationing business-jet passengers and their yachts, which can be moored less than quarter of a mile away. SXM is relocating its Technical Service department building to the just-off-airport location so that it can make better use of the limited amount of land it has in its core property holding for on-airport commercial purposes, according to LaBega. The fifth project in SXM’s current development portfolio is creation of an aviation training academy in its own building on the airport’s grounds. SXM is working with an ICAO- and IATA-certified Romanian aviation training expert to create the academy. 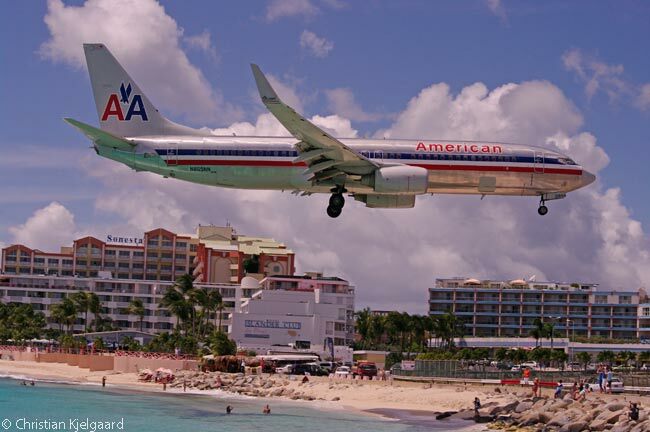 In addition to providing private-pilot flight training (Sint Maarten has excellent weather year-round), the academy will offer IATA and ICAO-certified pilot training, air traffic services training with three Adacel radar and tower simulators, airport operations training and aircraft-maintenance training. Together with its Juliana Air Traffic Services (JATS) air traffic control operations subsidiary and other Sint Maarten aviation stakeholders, SXM Airport is strongly hoping establishment of an ICAO- and IATA-certified aviation training academy locally will encourage citizens and residents of Sint Maarten to pursue aviation careers. 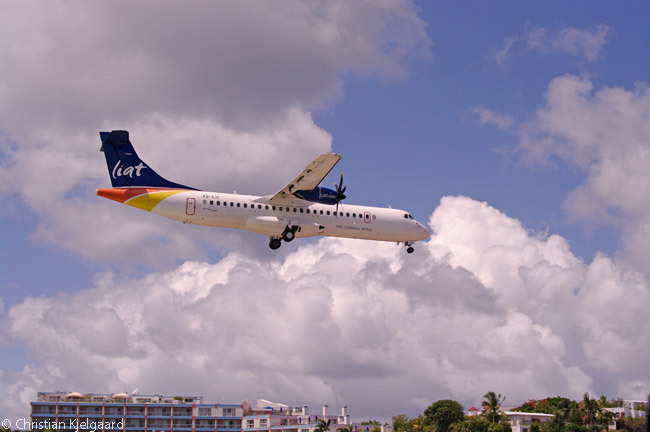 In this way the airport, JATS, Winair and other local aviation companies hope to secure a steady future supply from Sint Maarten’s own population of all the vital aviation skills they will require in the future to pursue successfully the island nation’s ambitions to secure a position as the primary aviation hub for the Northeast Caribbean region. 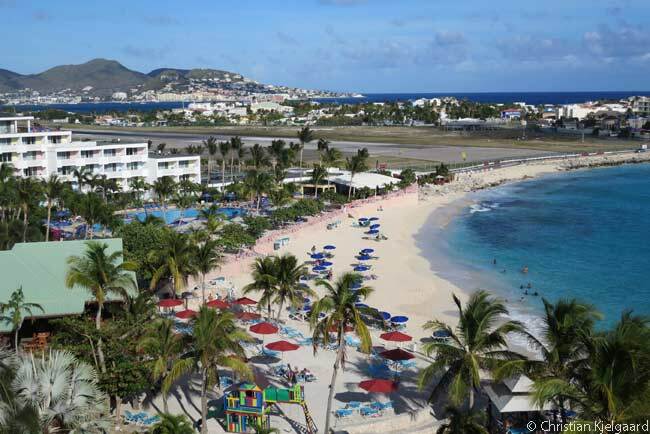 According to LaBega, a recent economic-impact study commissioned by SXM found the airport and its users (not including local hotels) were responsible for 60 per cent of Sint Maarten’s entire gross domestic product and 52 per cent of its employment. This claim is astonishing and probably inaccurate given the amount of hotel business and other tourism activities available on Sint Maarten, which produce many millions of dollars’ worth of revenues and employ thousands of people. Some 1,300 people work directly at the airport. 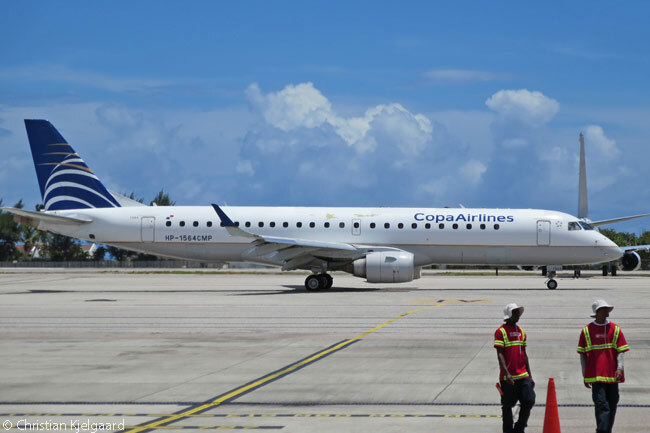 LaBega says that in 2012 SXM Airport became the first company in the Northeast Caribbean region to seek and obtain an investment-grade rating, securing a Baa2 rating from U.S.-based rating agency Moody’s. SXM Airport used this rating to ensure successful issuance of a $132-million, 15-year bond offering a 5.5 per cent interest rate. This enabled the airport to refinance a 2004 loan bearing interest at 8.25 per cent, saving it about $10 million in interest costs and allowing it to pursue its development initiatives, according to LaBega.